TECHNICAL • Capacity: 2 Person • Doors: Two Doors with two vestibules • Design: Freestanding dome with crossing pole. 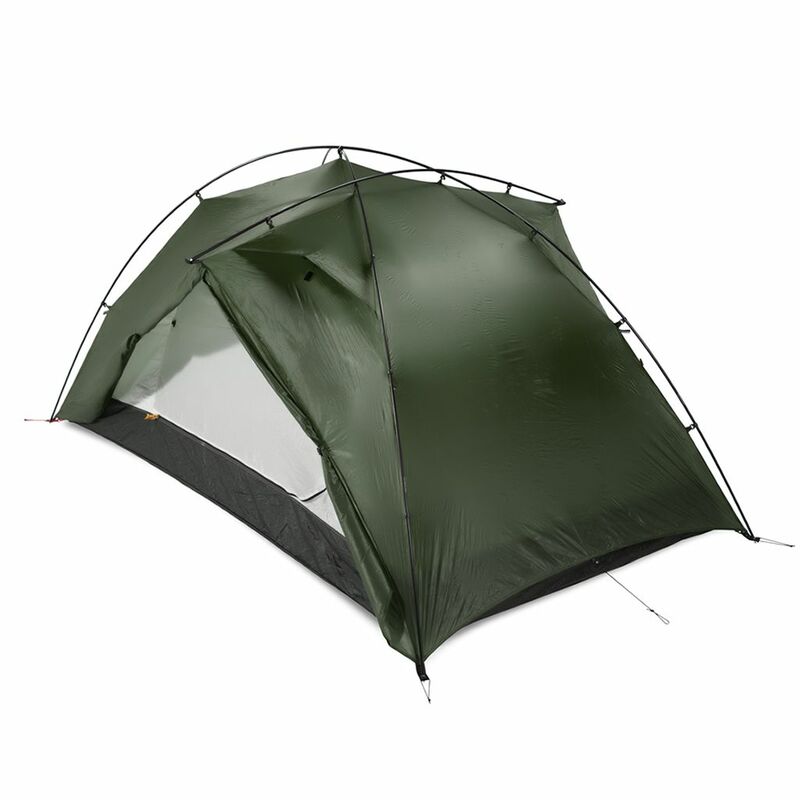 • Internal floor plan: 225 x 135 cm • Headroom: 107cm • Weight: 1.32kg (Mesh Inner) • Poles: DAC Featherlite (Folded length 43cm) • Rain fly: 1500mm SuperSil • Floor: 3000mm Sil-Nylon FEATURES • Very roomy freestanding design with 2 side doors and 2 vestibules for easy access and gear storage. • Poles attach to the rain fly, allowing the inner and fly to be set up together. The rain fly can also be set up alone to save weight. The cross pole increases vestibule area and stability. 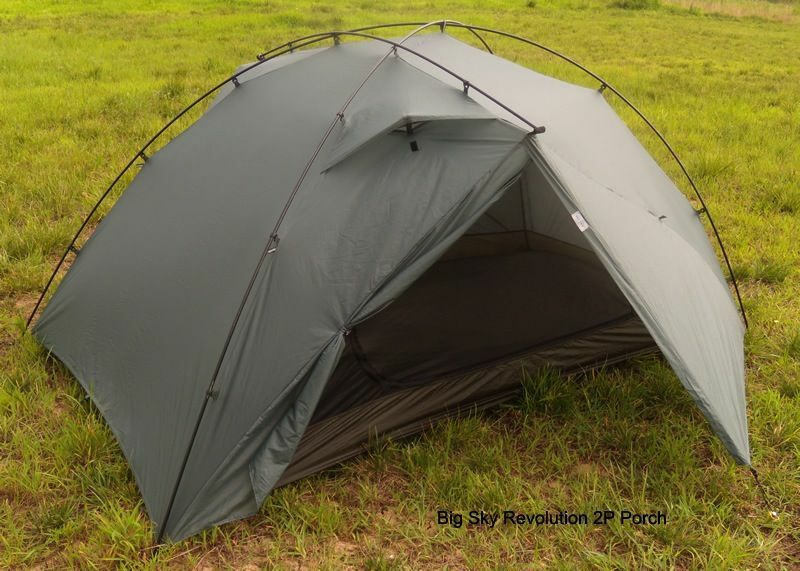 • Floor and fly use silicon coated nylon fabrics for excellent strength and light weight • Two inner options: Breathable nylon fabric OR See through mesh fabric • Includes ultralight compression bag DESCRIPTION: The Big Sky Revolution 2 sets a new benchmark for ultralight luxury. 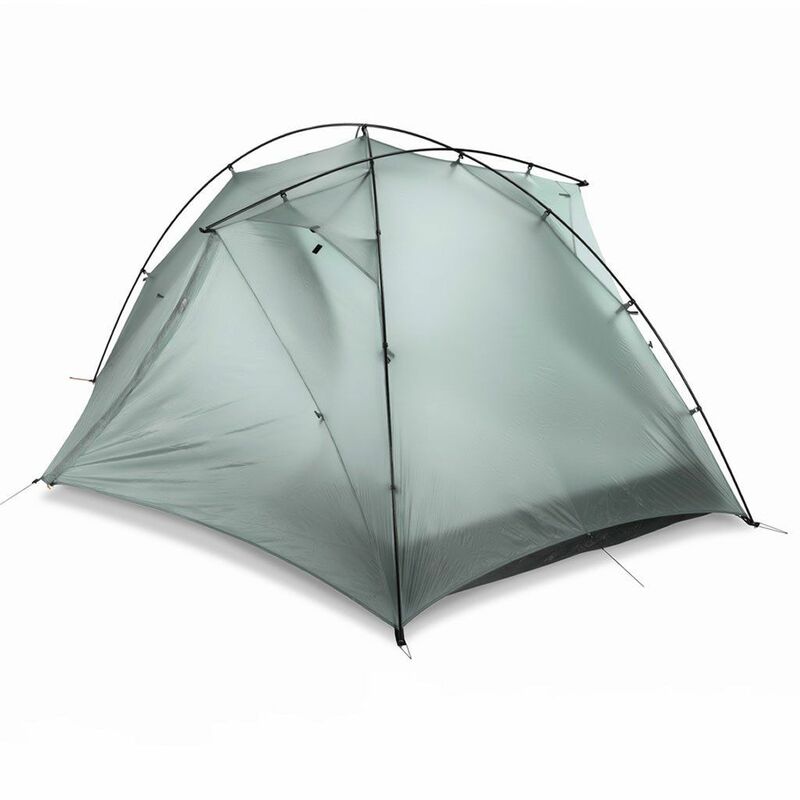 Weighing in at only 1.32kg, this tent is still one of the most spacious two-person tents on the market. With a storm proof design and expansive sheltered vestibules, the Revolution 2 will keep you (and your gear) dry when the barometer drops. The exoskeleton design allows for the inner and fly to be kept together for fast pitching, and when pitching in the rain the fly can be separated to keep the inner dry. The crossing pole extends the roof outside the floor plan, so the door can be left open without exposing the interior to rain. 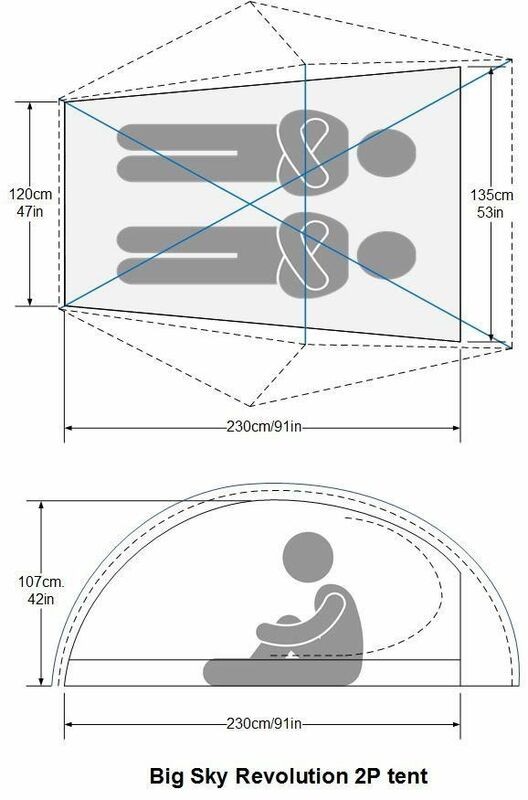 For most Australian conditions the mesh interior is perfect, allowing exceptional ventilation for hot nights, and for colder climates the breathable inner retains heat inside the tent, only adding 59g.